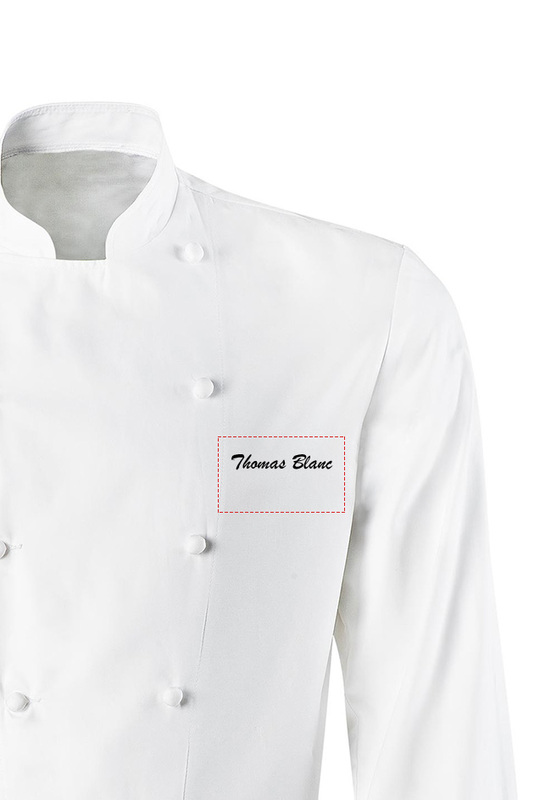 Chef’s Jacket’s with black piping. 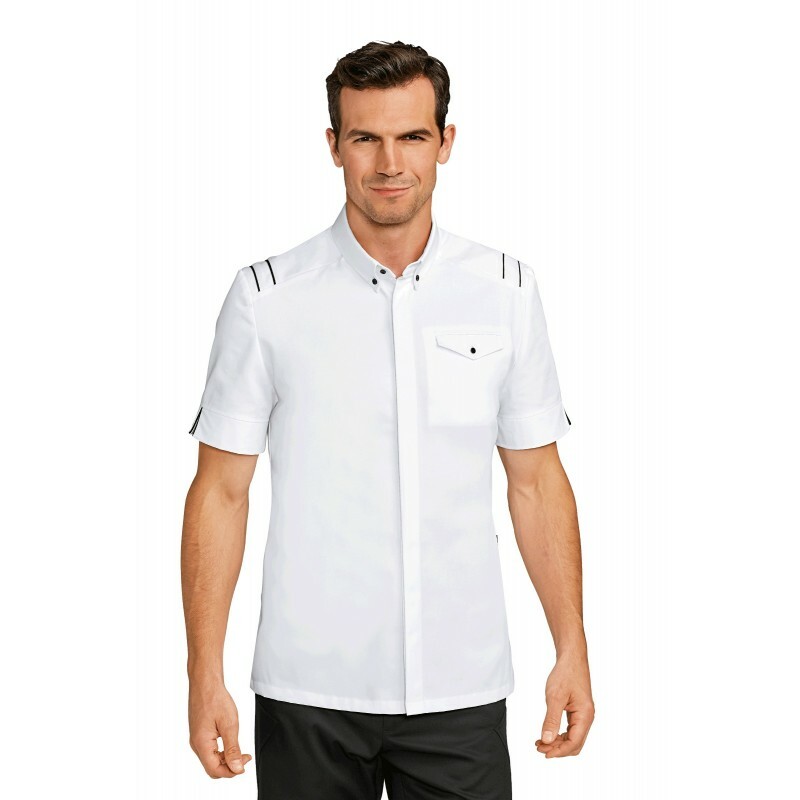 Shirt collar fastened with black button. 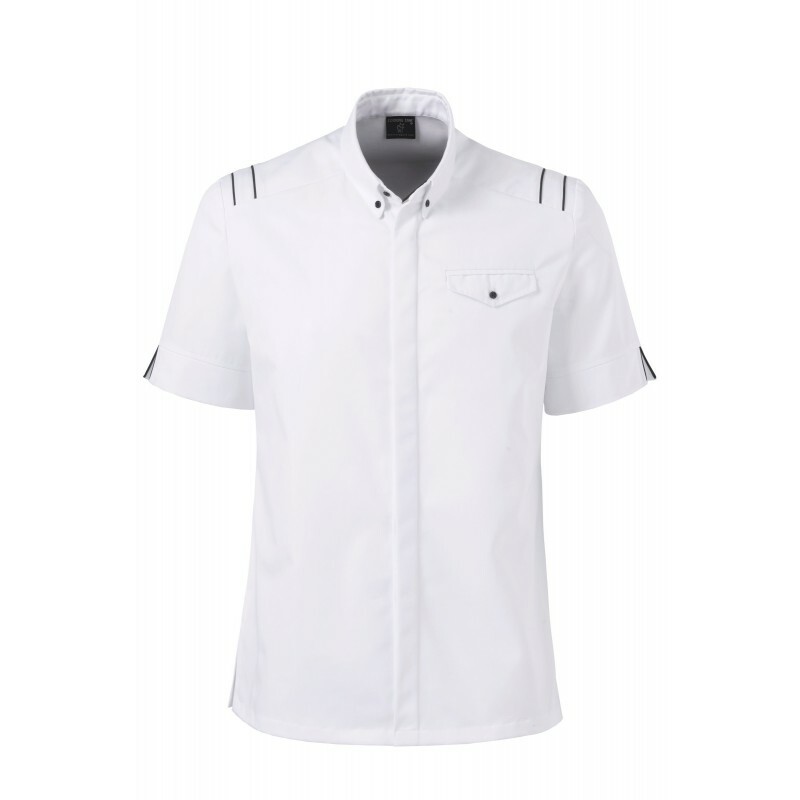 Press-stud fastening concealed under placket. Chest pocket. 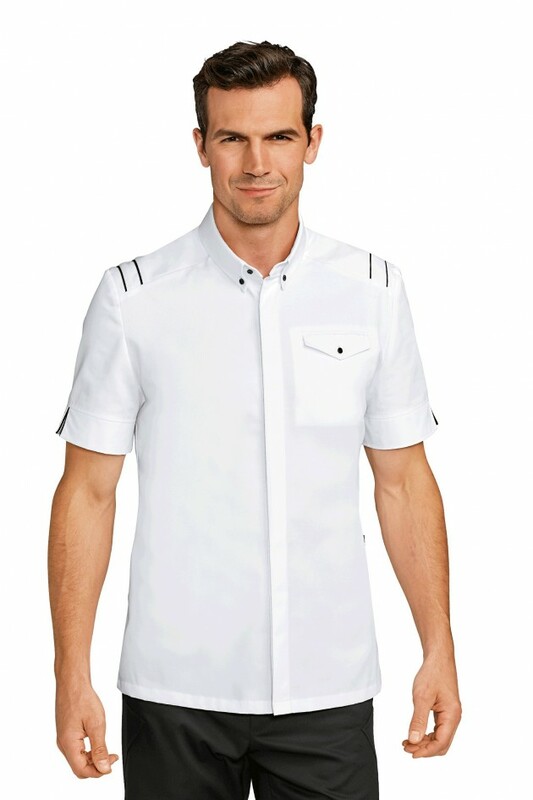 Short sleeves with slit on cuff with black piping. Side slits. Registered design.